With all of the negative media surrounding Greek Life today it's easy for people who were never involved to jump in. Being a very active member of the Greek community in college I've put together 10 reasons why you shouldn't hate on Greek Life. I did more service and volunteer hours in college than I have at any other point in my life. As a member of a sorority we were required to have a certain number of service hours each semester. 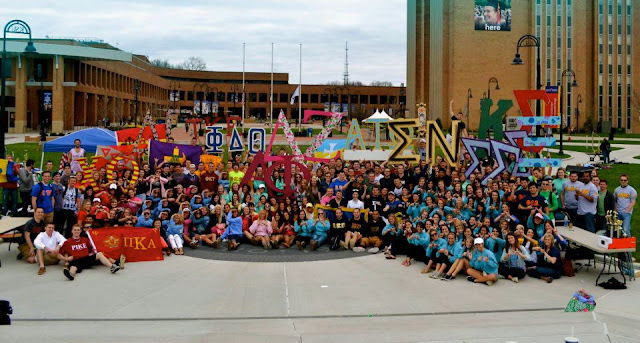 We also raised thousands of dollars for our own philanthropies and many others in the Greek community. Academics are extremely important to greeks. 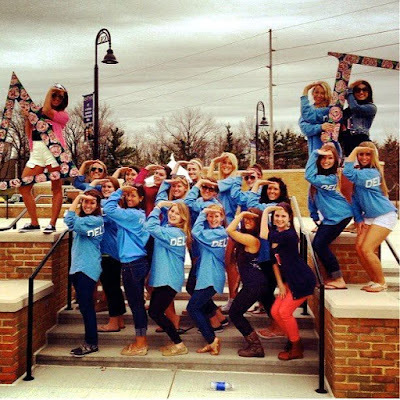 Each sorority or fraternity has academic requirements a member has to hit in order to be an active member. Our chapter had a Scholarship chair that organized study tables and incentives to get good grades. Study nights at the sorority house were always a good time. Greek life gives you the opportunity to take on leadership positions within your organization. President, Social Standards, Apparel, Archives, Rituals, and countless others each elected annually. Taking on a larger role within your sorority or fraternity can help prepare you for the "real world." You delegate tasks, are held accountable, attend meetings, plan events and so much more. This seems silly but after doing 4 years of Formal Recruitment I think I could sit in a room with anyone and be able to carry on a good conversation. I know any fellow sorority girl would agree. Small talk is a skill you are forced to use on a daily basis and this skill is definitely perfected through the recruitment process. With an extensive reach of alumnae all over the country the networking possibilities are endless. Alumnae are always willing to help with that phone call or extra recommendation to get you the job. 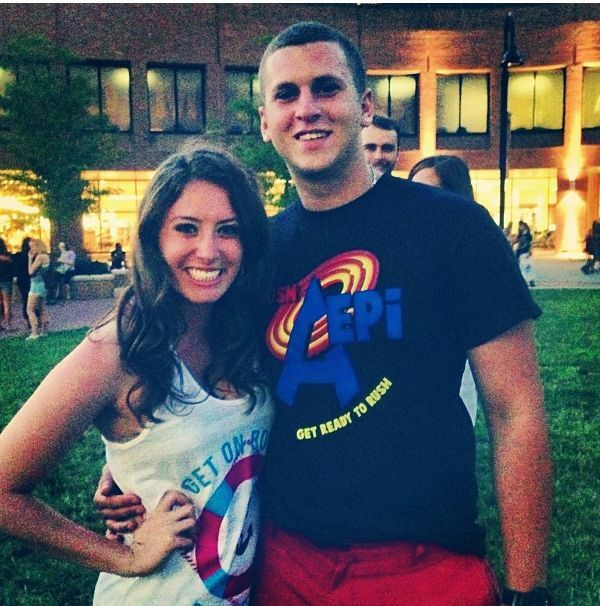 Chances are at some point in life your resume will end up in the hands of someone who was also involved in Greek life. That common link is an instant advantage. Not only do you form connections with women in your own sorority but you find friendships within all of them. Many events involve coming together as a community to raise money or awareness. My family is the perfect picture of being Panhellenic as we all joined different sororities. No matter the letters we're all Greek together. Greek life has a sense of tradition hundreds of years old. Each year a new group of women or men learn these traditions that have been passed down. The crest, badge, songs, rituals are all special to each organization. You are a part of something that is so much bigger than yourself. I have made countless friendships through Greek life. Starting school I think every college freshman wants to find that core group of friends. Once you go through recruitment and get a bid it's like having instant best friends. Lasting friendships that truly are -- not four years, but for life. Not only do you leave your legacy with your chapter after you graduate but to your little sister or future daughter. It is so exciting to think that one day someone could follow in your footsteps and share your rituals and traditions. How many other organizations can you have a legacy in? The bond of sisterhood is eternal. I have been forever touched and blessed to have the gift of sisterhood. Sisters like my anchor angel Ali are the reason I am proud to be a member of Greek life. 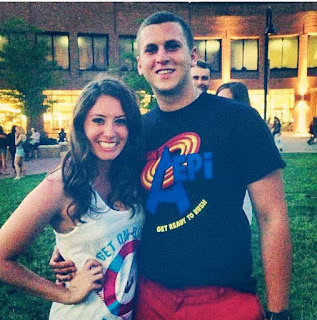 Bonus: I even ended up meeting my future husband through Greek Life! "From the outside looking in your can never understand it, from the inside looking out you can never explain it." Love Tay. 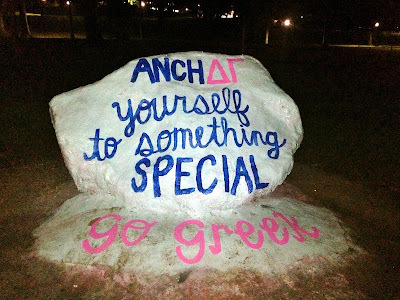 Show the haters why greek life rocks. Great article! Keep writing more!